Driver-less cars will change transportation systems forever, but how about personal transportation in a more personal way? What if, once you stepped out of a car, you could simply take a "car" from your backpack to reach you destination? That's what this WalkCar is all about. We can't consider WalkCar to be a "car". 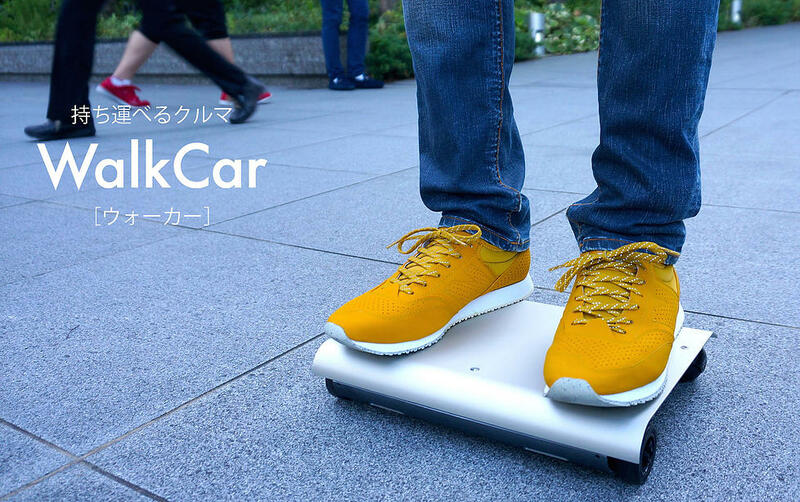 It's more like a cross breeding between a skateboard, a segway, and a bathroom scale. But the fact is, once you step on it, it can quickly zoom you around at up to 6mph and for as long as 7.5 miles. Weighing just 6.6 pounds, it can easily be carried around or tossed into a backpack (try to do that with a segway), and just like with a segway, you can control it by simple leaning towards the direction you want to go. Should anything happen, you can simply step out of the WalkCar and it will stop with a couple of feet from you.